A controversial vaccination commonly given to pregnant women to protect their unborn babies does not cause autism, according to new research. The three-in-one Tdap jab staves off diptheria, tetanus and potentially fatal whooping cough – known medically as pertussis. But it has been linked to increasing the risk of children developing autism, a neurological disorder. Now a study of almost 82,000 infants born in the US over a four-year period found those whose mothers received the immunisation while they were in the womb were no more prone. The finding published in Pediatrics follows disgraced gastroenterologist Andrew Wakefield’s discredited theory the MMR vaccine caused bowel disease and autism. Around 1.1 percent of people in the UK are on the autism spectrum, according to the National Autistic Society. Many children have not received potentially life-saving vaccinations because of parents’ fears that they could trigger autism. The NHS advises all pregnant women to get vaccinated against whooping cough as they pass on antibodies to their unborn child in the womb. Babies should then have the six-in-one jab at two months old – which covers whooping cough as well as measles, mups, rubella, diptheria and tetanus. Dr Becerra-Culqui said: “Infants are at the highest risk of hospitalisation and death among any population subgroup after contracting a pertussis infection – a highly contagious respiratory disease also known as the whooping cough. The Advisory Committee on Immunisation Practices – which provides guidance on the use of vaccines for the US – recommends pregnant women receive the Tdap vaccine to prevent whooping cough infection. But some women still hesitate. So Dr Becerra-Culqui and colleagues investigated the link between Tdap and autism diagnoses among children born at Kaiser Permanente hospitals in Southern California between January 2011 and December 2014. The study included 81,993 children and found Tdap vaccination coverage ranged from 26 percent in 2012 to 79 percent in 2014. Autism spectrum disorder incidence for children was 1.5 percent among those whose mothers got the jab. It was slightly higher – 1.8 percent – in those whose mothers were not vaccinated. These were comparable to the 1.7 per cent autism rates across the US. Analyses of the data extracted from electronic health records showed Tdap vaccination during pregnancy was not associated with increased autism spectrum disorder risk in children. The results were consistent across study birth years and among first-born children. 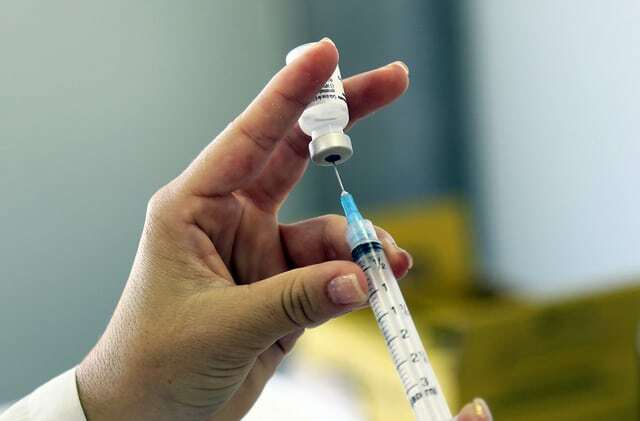 Senior author Dr Hung Fu Tseng, of the Department of Research & Evaluation at Kaiser Permanente, said: “The link between vaccination and development of autism has been refuted by many rigorous scientific investigations. Unfortunately, the misconceptions still generate concerns. “Given the increasing practice to vaccinate pregnant women with Tdap vaccine, it was important to address the concern of a link between maternal vaccination and subsequent development of autism spectrum disorder in children.